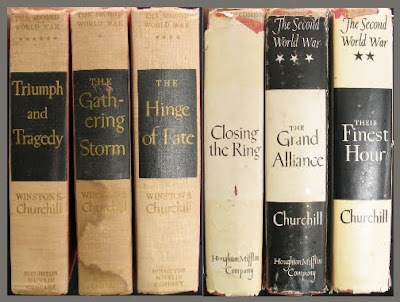 The Second World War is a six volume set by Winston Churchill. I said I wanted to read it at the beginning of the year and I'm running out of time. I DON'T want to close out the year having not read them so I'd best get crackin'! I picked up a first American edition set of these books at our local used bookstore which I was really excited to find! Very eager to get into them. I love Winston Churchill. I could quote him all day long. I love learning more about him. And I love the World War II era because of the courage, daring, bravery and honor which seem spread throughout. Anyway...I'm about ready to pick those up and get started. It seems all the books I really want to get to are related to World War 2. For instance, there's Unbroken: A World War II Story of Survival, Resilience, and Redemption which Amy recommended too many months back. I'd like to read that one. 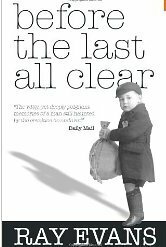 Before the Last All Clear sounds rather fascinating, especially on the heels of the Pevensie adventures. So many books, so very little time. And the knowledge that we are now entering the fall season and the year is almost over definitely motivates me to accomplish some reading goals I had wanted to set for myself before the year's end. How 'bout you? Feeling the pressure of the end of August? Yowee, time is just zooming by! I hadn't really thought about it being anywhere near the close of the year until you said so. 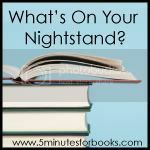 I'll be looking forward to seeing what you have to say about these books! I am definitely feeling pressure due to the baby's arrival in October...I need to stop accepting reviews, too!! Unlike you, I am not a speedy reader. I think you'll have a lot of fun reading for the rest of the year! Sounds like you've got your work cut out for you! Happy reading! Achievable goals are good! I hope you find time to read The Second World War and find lots more quotes from Churchhill to share. :-) I’m reading Bonhoeffer right now so WW2 era is fresh in my brain too. Such a horrible time but such an amazing time for heroes to emerge too. 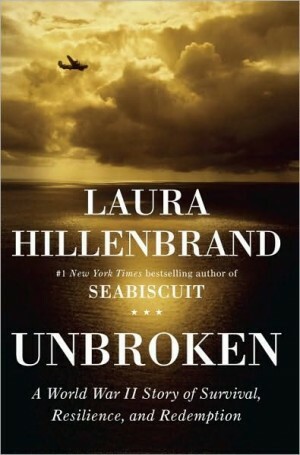 Unbroken is an amazing story--very heavy, but inspiring. Hope you are able to get to it. I'll look forward to a review! Oh my goodness, I am drooling over those Churchill books. Looks interesting! I just finished a good WWII novel --Next to Love. My review will post next week or so. It really is a fascinating time. I'm quite sure that THIS generation would not be like "The Greatest Generation" (Have you read that one??). Unbroken was good. I've been working on WSC's histories almost since high school. I do great for a few chapters....then get sidetracked for, oh, YEARS. Love Churchill and hope to make it thru WWII and English Speaking People before I die!!! I'm drooling over your Churchhill, and gasping that you think finishing a six volume set like that before the year is out is achievable. I may read a huge volume every (day, week, month, year), but my dirty little secret is that most of what I read is absolute fluff. That, on the other hand, that sounds like a project. I go through phases like that, too. In fact, I'm entering a Revolutionary War phase now. Seems all the books I'm interested in are from the 1700s - George Washington, Thomas Jefferson, etc. I've just finished Unbroken. It's amazing...you should definitely read it. Hats off to your commitment to read the Churchill books. I'll be waiting to read what you think of them. All that Churchill looks really fascinating. Not sure I'd have the time and/or wherewithal to get through it all though, so I'd really love to read your review. Best wishes on getting all those good books read in the waning months of '11! I will be very impressed if you are able to finish that Churchill set by the end of the year! Impressive goal. :) I hope they are everything you're anticipating!